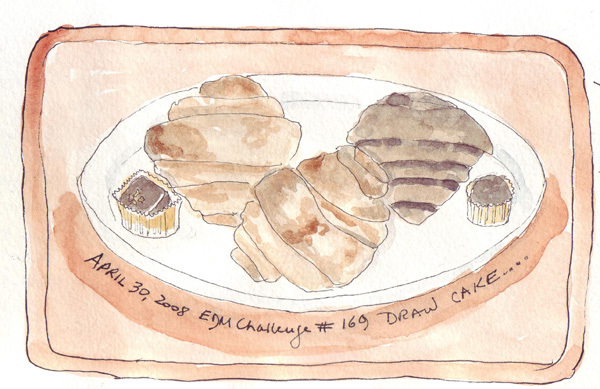 EDM Challenge #169 Draw a Piece of Cake: This loose interpretation of the challenge was done the last day of April and never posted because of the Every Day in May Challenge which started the next day. So I uploaded it now with EDM Challenge #170. 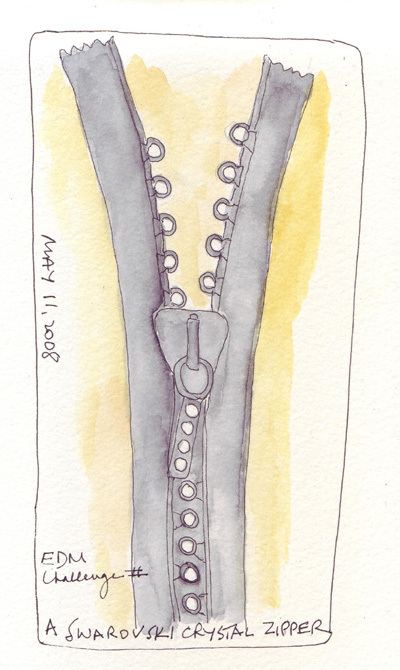 EDM Challenge #170 Draw a Zipper: This is a still unused Swarovski crystal zipper. Each zipper tooth has a rhinestone set into it creating a single line of rhinestones when the zipper is closed. I wish I could have captured the sparkle in paint, but that is totally beyond my skills! Both drawings are great...the zipper one is fabulous...so well detailed! I really like these. They're executed so simply, yet nothing more is needed. WONDERFUL sketches, Shirley!! SUPER SUPER job on that zipper! I hope you had a fabulous mother's day!